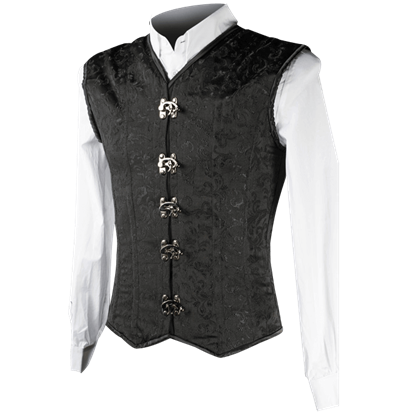 Nothing elevates your gothic look like one of the mens gothic vests offered here in this category. 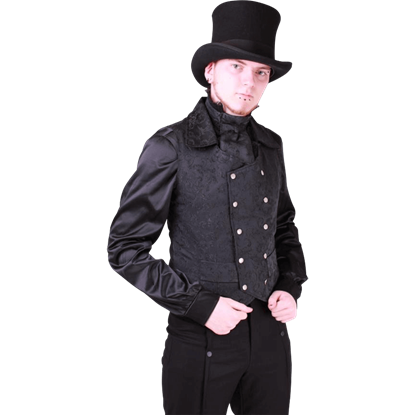 We offer a wide selection of pieces that suit modern formal gothic attire and mens period gothic ensembles. 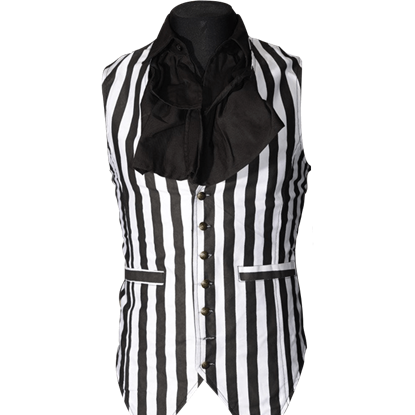 An ornate brocade waistcoat makes a fabulous addition to mens gothic dresswear, and one of our classic striped vests looks stunning as part of a gothic three-piece suit. Our mens gothic shaper vests create a slimming effect for those who want a trim silhouette, as well. Add a modern twist with one of our spiked vests or black leather vests for a dapper gothic ensemble. 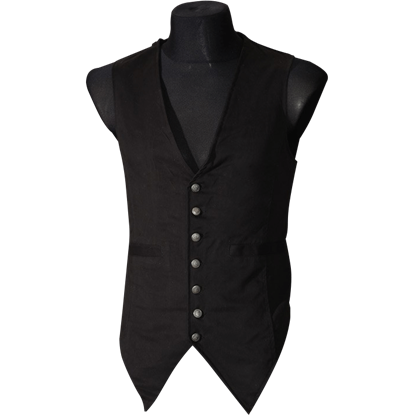 No matter what look you are going for, one of our gothic vests or gothic waistcoats is certain to give you the style you deserve! Sumptuous brocade in a sleek design makes this Black Brocade Clasp Shaper Vest one that you will reach for time and time again. With silver-tone clasps and back lacing, it achieves a dapper look for Neo-Victorian or Gothic outfits. What a dapper gent! 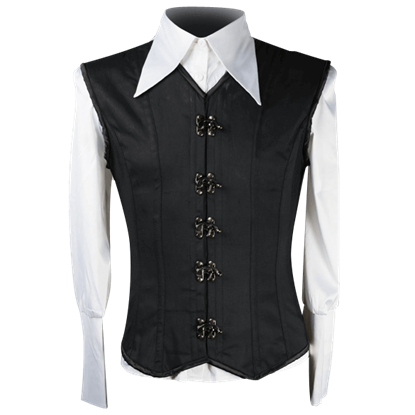 Incredibly stylish, this Black Cotton Clasp Shaper Vest gives your outfit an instant Victorian flair. Also fantastic for Gothic ensembles, wear it as a normal vest or use the back lacing to achieve a shaped look. 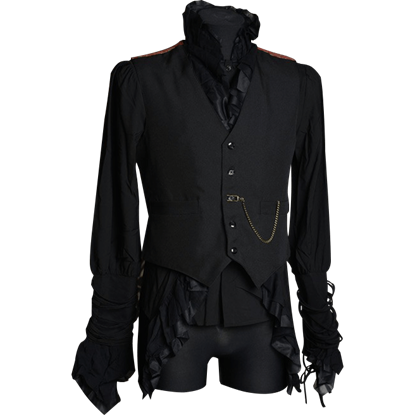 This gorgeous mens waistcoat comes in a double-breasted style that is sure to look stunning with gothic or steampunk formalwear. The Ella Brocade Waistcoat is made from luxurious raised pattern brocade that feels great. Look like a suave gentleman when you wear this stylish vest! The Gothic Black and Red Brocade Vest displays a solid black front for a touch of formality and vibrant red brocade over the back as a decorative flourish. Add charm to any of your favorite outfits when you wear this sophisticated vest! The Gothic Black Long Vest features solid black material that goes with just about any color, making it a fantastic item for gothic outfits. When you want to look suave and slim in your dress attire, this vest can make all the difference in the world. The Gothic Black V-Neck Shaper Vest features metal boning to help give you the shoulder to waist ratio that you desire. Try out this waistcoat with your favorite dress shirts for a sophisticated look that cannot be beat! 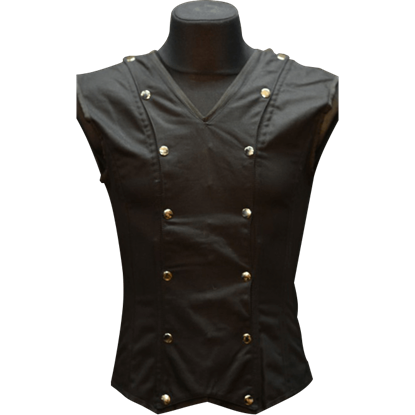 The Gothic Black Waistcoat features a solid black color that goes great with other colors and an excellent, adjustable fit. Make this waistcoat a part of your wardrobe to easily add a touch of sophistication and elegance to any outfit. 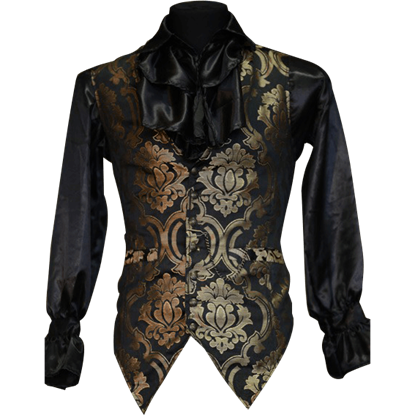 The Gothic Gold Brocade Waistcoat looks stunning when worn with a black shirt or other formal apparel. Finding gothic style for those formal occasions can be hectic. 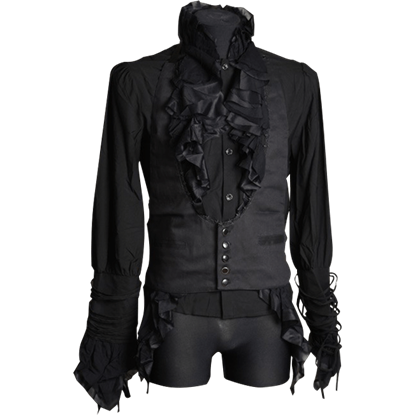 Your search is over with the Gothic Rock Four Button Waistcoat! With its elegant single-breasted design, this gothic vest is the excellent choice to spruce up your wardrobe. With dramatic spikes on the shoulders, this faux leather vest makes a fantastic addition to any gothic ensemble. 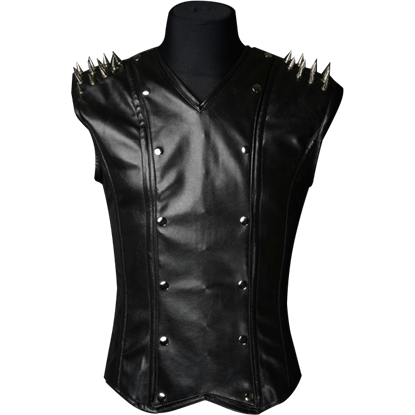 The Gothic Spiked Black V-Neck Shaper Vest features metal boning to help give you a trim shoulder to waist ratio. The addition of this vest to any outfit provides an instant touch of class! The Gothic Striped Long Vest features a striking pattern of black and white stripes down its length, making it a fantastic item for gothic outfits. Add a touch of sophistication to any outfit with the simple addition of this charming waistcoat! 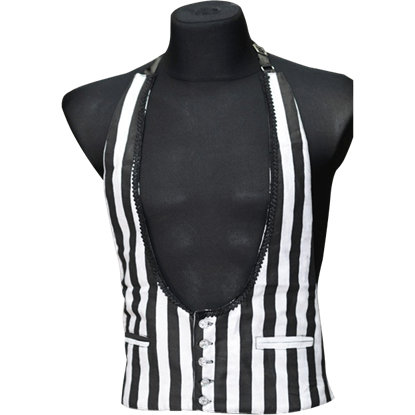 The Gothic Striped Waistcoat features a bold black and white striped pattern and an excellent, adjustable fit.